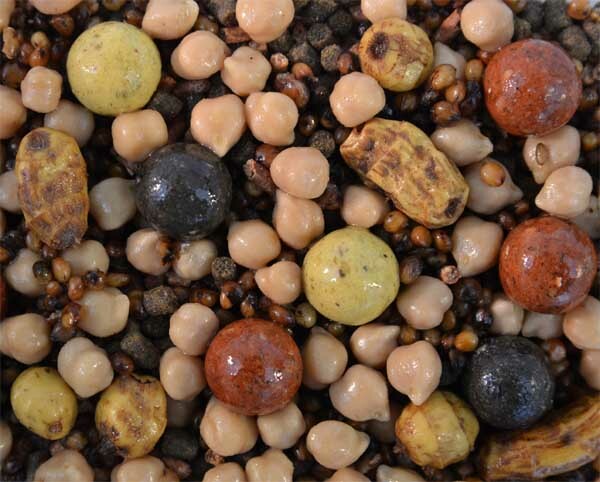 Site Map : Essential Baits, Quality with a BIG difference! Thaumatin is undoubtedly one of the most attractive ingredients we have ever seen when it comes to producing a stimulatory response. It can be used in particles, boilies, boilie glugs, liquid foods, stick, spod and spomb mixes etc, etc. Even match anglers have used it in their maggots and groundbait formulations and romped past their nearest competitors, simply because the fish seem to go into a complete feeding frenzy when this stuff is added to food! We Would NEVER advocate the use of particles without Thaumatin and we promise that you will see a massive difference compared to particles without it. With so many shelf life particles available on shop shelves, and doubts about the aded preservatives making them taste 'bitter', Thaumatin is the perfect answer. Just a few mils per jar can make the world of difference and significantly improve your catch rate. Beware of immitations! Essential Baits are the ONLY company that market Thaumatin-B.